This Action is a programme for establishing a network of BioImage Analysts, in order to maximize the impact of advances in imaging technology on the Life-Sciences, and to boost the productivity of bioimaging-based research projects in Europe. BioImage Analysts have recently emerged in various research institutions but these experts are still not well recognised in the Life Science community. They are specialised in customising Bioimage analysis (BIAS) workflows by assembling and automating multiple computational tools, and by interacting with Software developers and Life Scientists to facilitate Image Analysis. The Action aims to provide a stronger identity to BioImage Analysts by organising a new type of meeting fostering interactions between all stakeholders including: Life scientists, BioImage Analysts, instrumentalists (e.g. microscopists), developers and private sector. NEUBIAS will collaborate with European Imaging research infrastructures to set up best practice guidelines for Image Analysis. 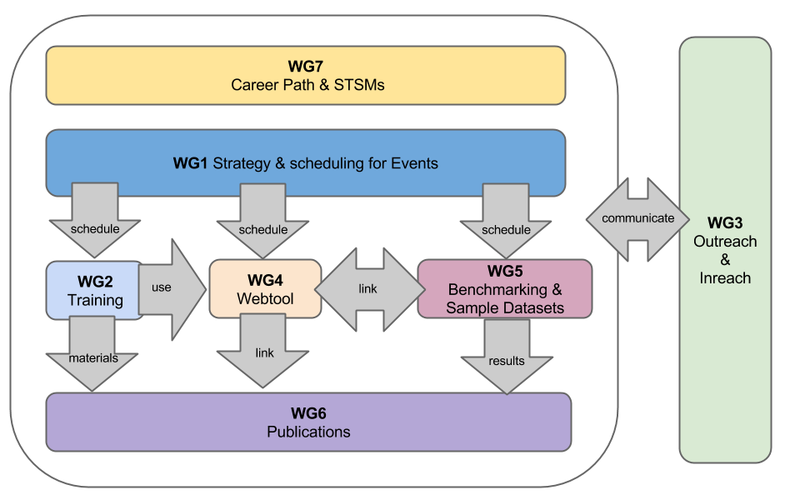 The Action plans to create an interactive database for BIAS tools and workflows with annotated image sample datasets, to help matching practical needs in biological problems with software solutions. It will also implement a benchmarking platform for these tools. 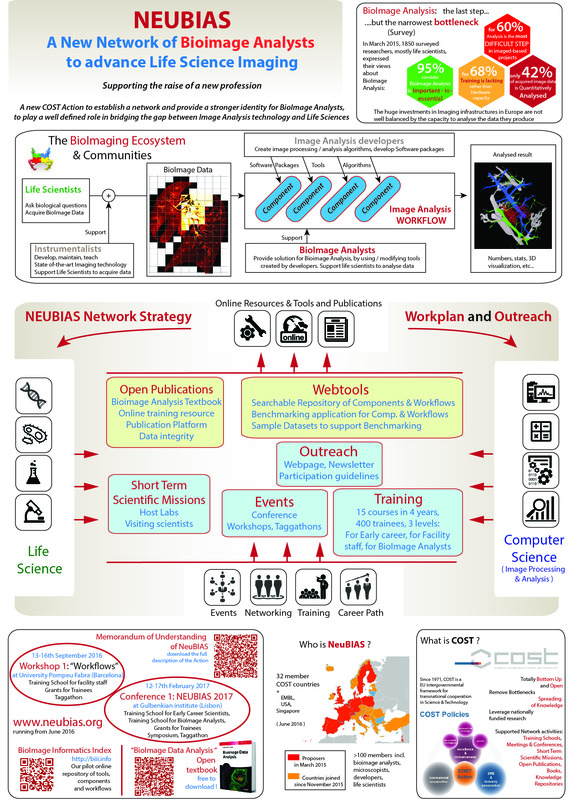 To increase the overall level of Image Analysis expertise in the Life Science, NEUBIAS proposes a novel training programme with three levels of courses, the release of open textbooks, and will offer Travel grants in a Short-Term-Scientific-Missions programme to foster collaborations, BIAS-technology access, and knowledge transfer for scientists and specialists lacking these means. This Action will support the long-term scientific goals of European science and industry by bridging essential fields of scientific excellence. The planning of the Action and description of working groups is available from the Memorandum of Understanding, a public document available here. Where do we meet ? How do we interact ? What Output do we generate ?